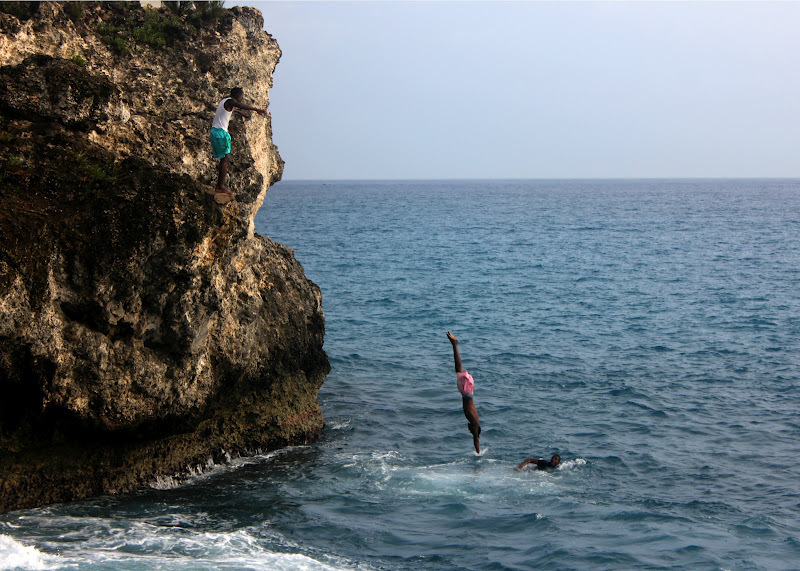 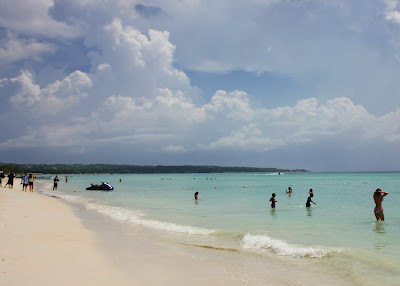 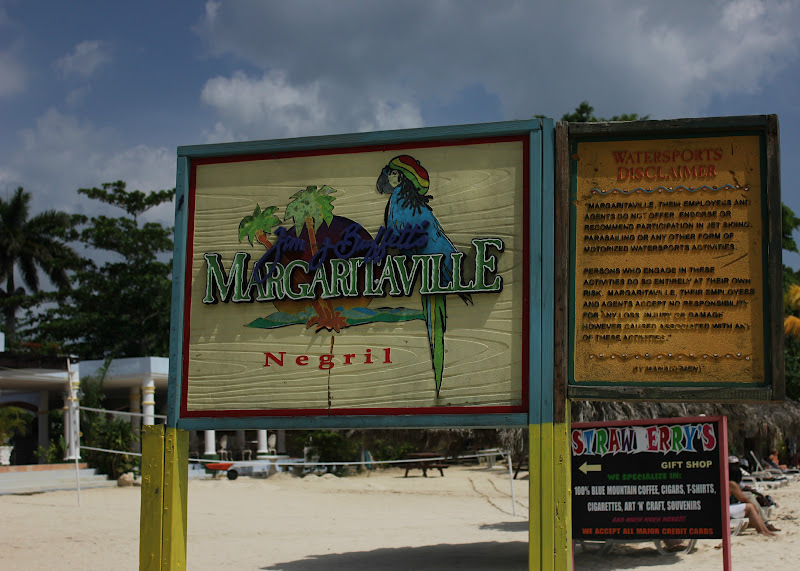 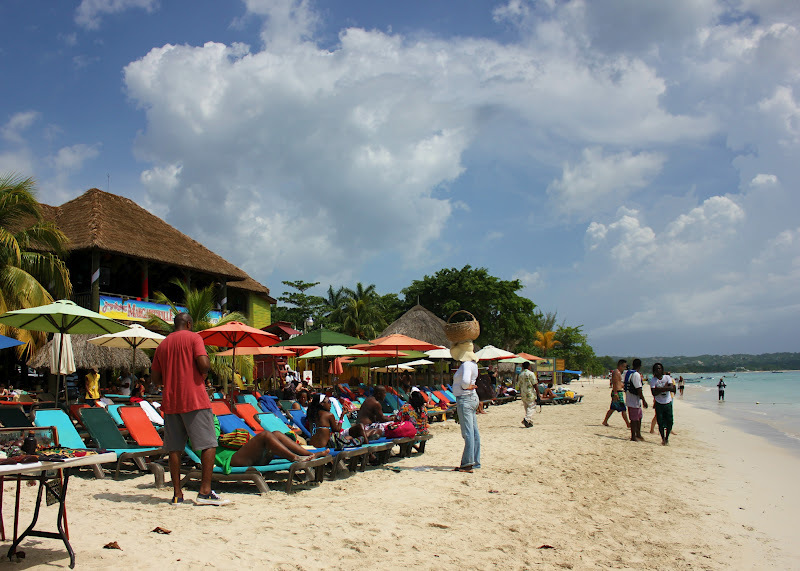 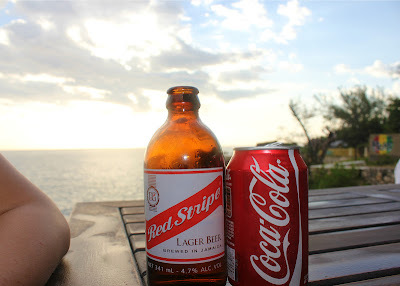 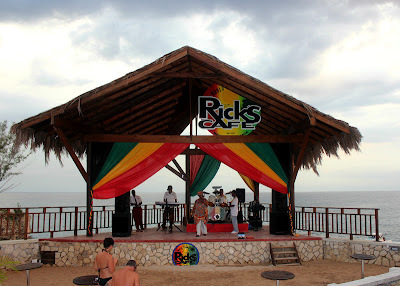 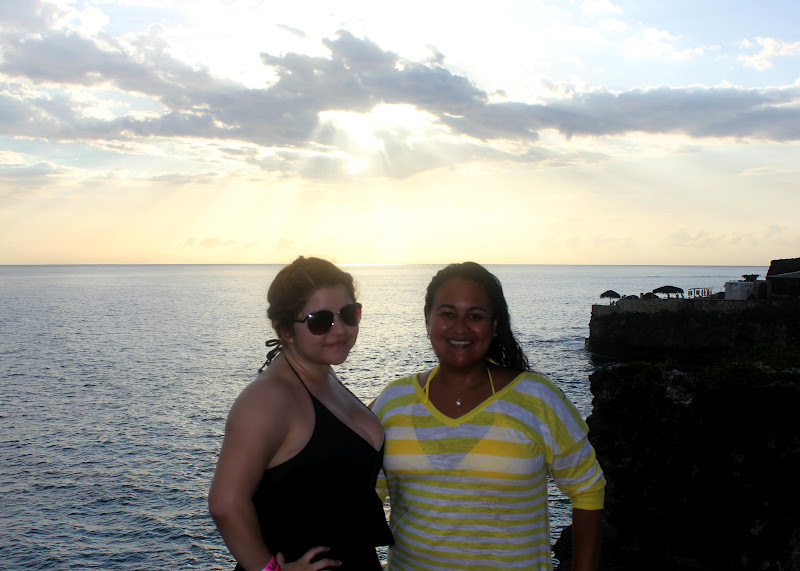 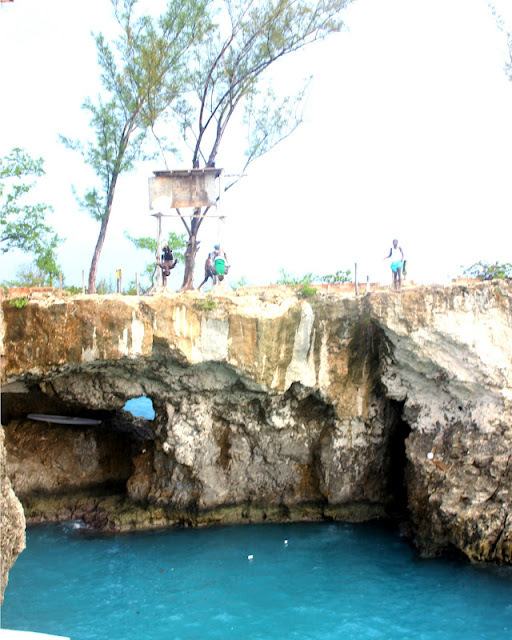 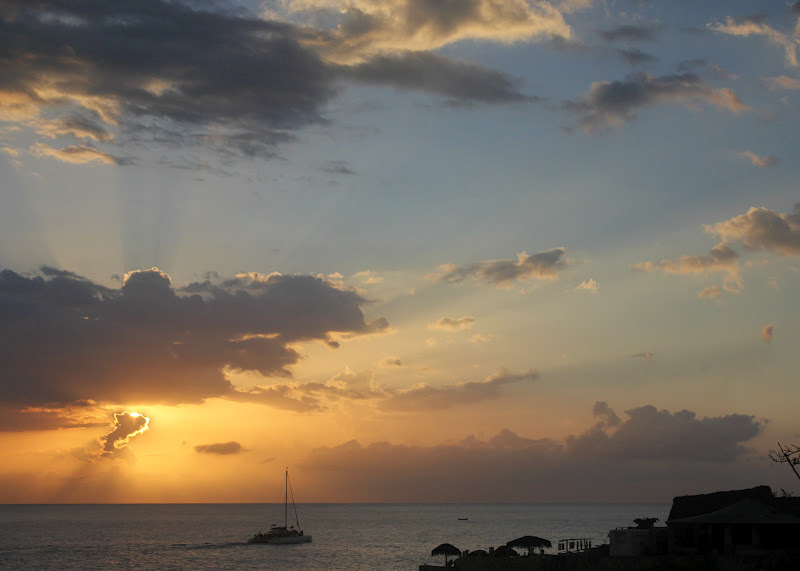 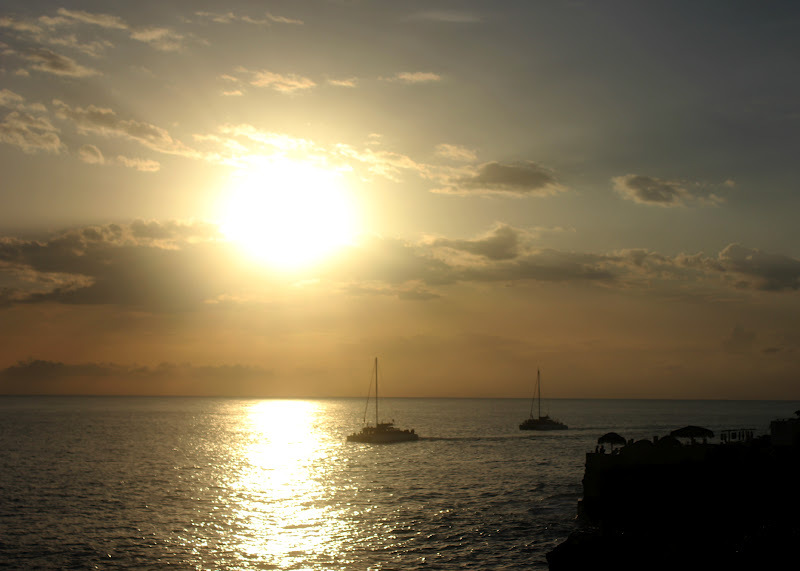 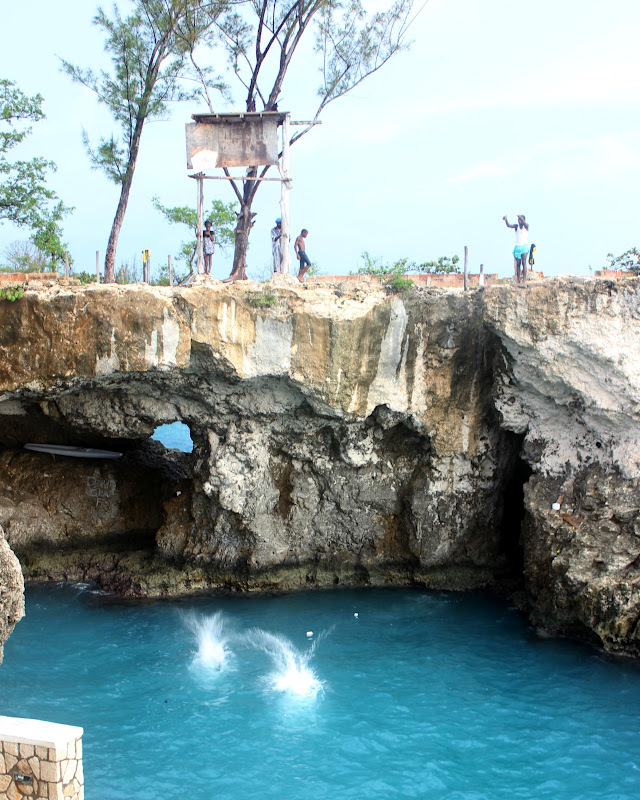 Continuing with my Jamaica trip, we took a day tour out to Negril. It was so much fun, we ate lunch at Jimmy Buffet's Margaritaville (try the coconut shrimp platter, it is so delicious!) 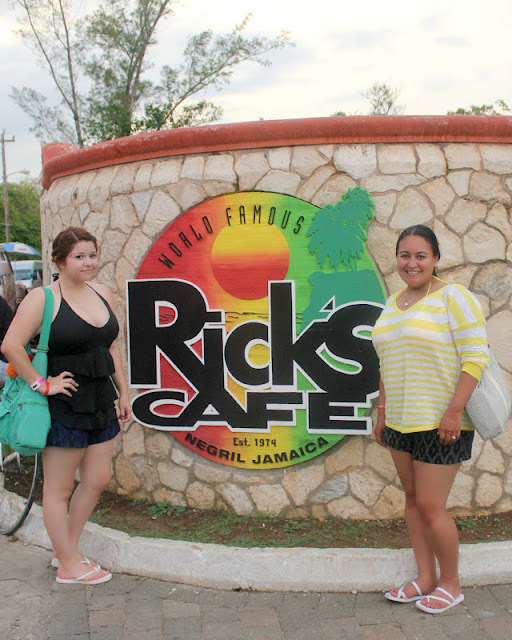 and spent some time shopping for souvenirs for friends and family before heading to Rick's Cafe to watch an amazing sunset. The beach in Negril is amazing! 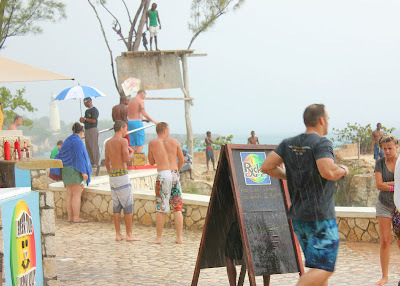 It was pouring as we arrived at Rick's Cafe and we worried that there was going to be no sunset that day. To our relief, the sun prevailed and we were treated a cliff diving exhibition by the locals and a spectacular sunset. 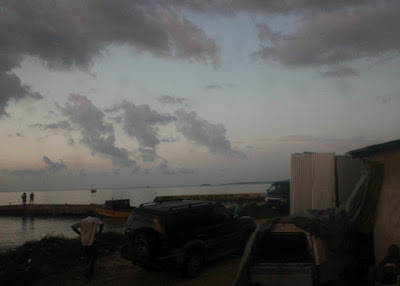 We were all happy and exhausted by the time we made the night time drive back to Montego Bay. I'll only have one more post from our trip and then it will be back to reality. 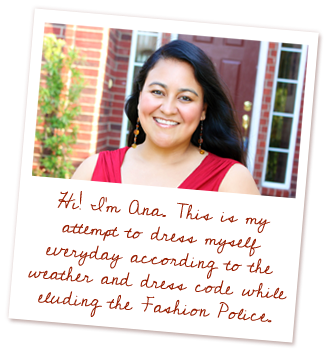 I'm struggling to keep cool in the blazing Texas heat!